Birds of Eastern Polynesia is the first biogeographic Atlas covering all of the birds of one of the largest areas of Oceania. 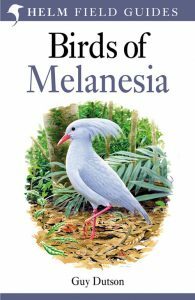 The book treats all of the 241 species, including extinct birds, ever recorded on the Line Islands, the Cook, Austral, Society, Marquesas, Tuamotu and Gambier archipelagos, the Pitcairn Group, and the Eastern Is. Group. Their distribution over the 151 islands of the region is detailed in 142 maps. The species accounts include systematics, a detailed morphometric or genetic analysis when it is available, and data on distribution, population size and trends, habitat and breeding. All species recorded in Eastern Polynesia are illustrated in colour, except those only known by bone records. 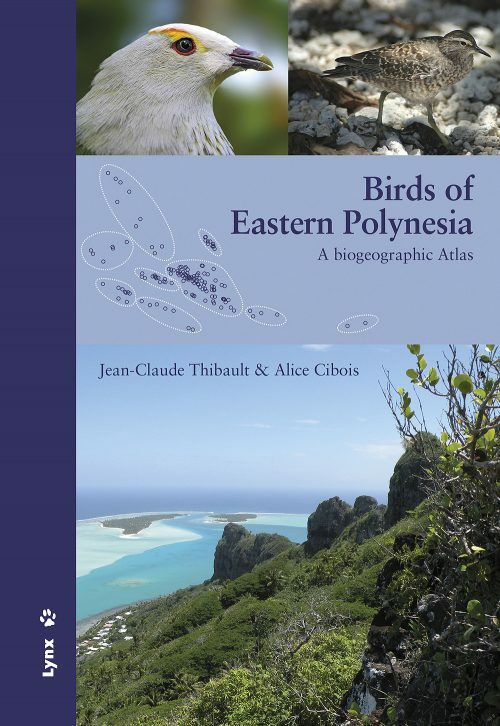 Birds of Eastern Polynesia represents an original and much needed ornithological synthesis of all the available literature on Eastern Polynesian birds, including many difficult-to-find reports, as well as unpublished data gathered from local ornithologists and biologists. It also contains new data collected by the authors during numerous fieldtrips in Eastern Polynesia and during visits to museum collections. This work presents a complete overview of this vast oceanic region for anyone with an interest in the biology, biogeography and conservation of the birds of the Pacific islands. Rare birds yearbook 2009: the world’s 190 most threatened birds. 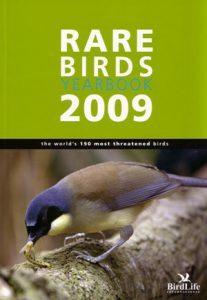 This totally revised 2009 edition features the world’s 190 critically endangered birds, according to the latest IUCN redlist, www.iucnredlist.org. Over 130 photographs of the world’s rarest birds have been replaced since last year. New features in this edition cover varied topics such as the reintroduction of the Californian condor, philosophical conservation issues, the Preventing Extinctions initiative, and exciting encounter with one of the world’s rarest birds of prey and much more. A selection of endangered species are presented in a special feature along with photographs. The species’ texts have been fully updated in the majority of cases and are accompanied by distribution maps. The updated species-per-country list is still in there and the threats to each species are graphically presented. See also [stock id 31177]. Covers the species rich Melanesia region of the south-west Pacific, from New Caledonia and the Solomons through the Bismarcks to Vanuatu. The superb colour plates illustrate the 650 species that occur in that region, allied with concise identification text and a series of distribution colour bars. The Kagu, endemic to New Caledonia is featured. Guy Dutson is an ornithologist and tour-leader, and is the world’s leading authority on the birds of the south-west Pacific, a region in which he has described or rediscovered several species. He has led expeditions to the Solomon Islands and Papua New Guinea, in the course of which he rediscovered the Superb pitta on Manus. Shorebirds are model organisms for illustrating the principles of ecology and excellent subjects for research. Their mating systems are as diverse as any avian group, their migrations push the limits of endurance, and their foraging is easily studied in the open habitats of estuaries and freshwater wetlands. This comprehensive text explores the ecology, conservation, and management of these fascinating birds. Beginning chapters examine phylogenetic relationships between shorebirds and other birds, and cover shorebird morphology, anatomy, and physiology. A section on breeding biology looks in detail at their reproductive biology. Because shorebirds spend much of their time away from breeding areas, a substantial section on non-breeding biology covers migration, foraging ecology, and social behaviour. 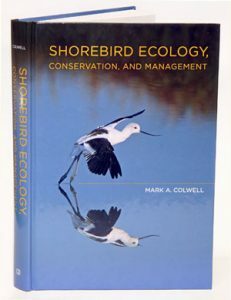 The text also covers shorebird demography, population size, and management issues related to habitat, predators, and human disturbances. Throughout, it emphasizes applying scientific knowledge to the conservation of shorebird populations, many of which are unfortunately in decline. 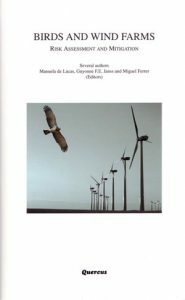 Birds and wind farms: risk assessment and mitigation. Artist/Author: de Lucas, Manuela et al., editors. Presents a scientific approach for the assessment of the hazard this new industry poses on bird populations. The book is coordinated by three researchers from Donana Biological Station (Spanish Research Council) and written by different scientists of international recognition from different countries. It presents an objective overview of the various technologies and their potential effects on birds and bats; methods of minimizing the risk of adverse impacts; and gaps in the actual knowledge and how to tackle them. The increasing number of wind farms around the world must be aware of the potential effects on birds and bats and get familiar with the methods of minimizing the risk of adverse impacts. The experts put a considerable emphasis on encouragement and improvement of the communication between the different interested and involved parties (wind power companies, scientists, ecologist, governments, technicians and lay people).